Find the latest restaurant and culinary events in London with GAYOT's calendar featuring chef pop-ups, special dinners, tasting menus, food festivals and more. 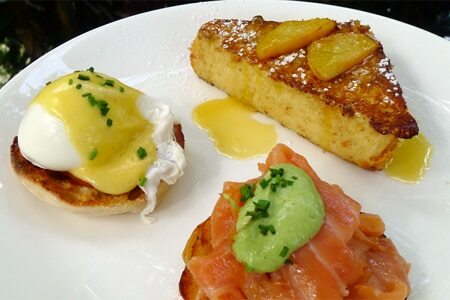 For even more updates, check out the latest London Restaurant News. Whether you're looking for an intimate affair to share with close family, or an out-of-doors afternoon spent soaking in the springtime with mimosas and eggs Benedict, check out GAYOT's picks for the Best Easter Brunch Restaurants in London. Hélène Darroze at The Connaught has introduced a five-course weekend menu with a roast chicken as the star of the show. The main dish of “Le Poulet du Dimanche” is chicken stuffed under the skin with foie gras and truffles. The menu costs £150 per couple. 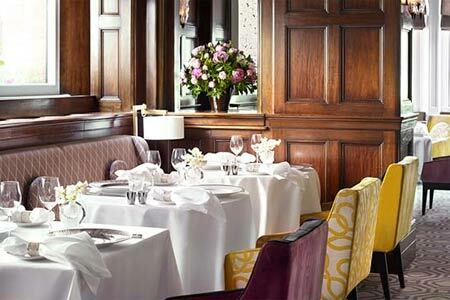 Hélène Darroze at The Connaught, The Connaught, Carlos Pl., London W1K 2AL, 020-3147 7200.